Most. Rev. Serge A. Thériault, Ph.D., Th.D. Most Reverend Serge A. Thériault, Ph.D., Th.D. Bishop Thériault was elected 4th Bishop Ordinary of CCRCC on November 14, 1981. He succeeded the Rt Rev. O'Neill Côté (1939-1986) and was consecrated by him on July 12, 1982. A Bachelor of Theology from Dominican College of Philosophy & Theology, Ottawa, Bishop Thériault was ordained in 1976, for the French Canadian Community Church Parish of Gatineau-Ottawa, dedicated to St. Bernard & St.Gregory. He is a Master's graduate from the Pastoral Institute, St. Paul's University, Ottawa, and has a Th.D. 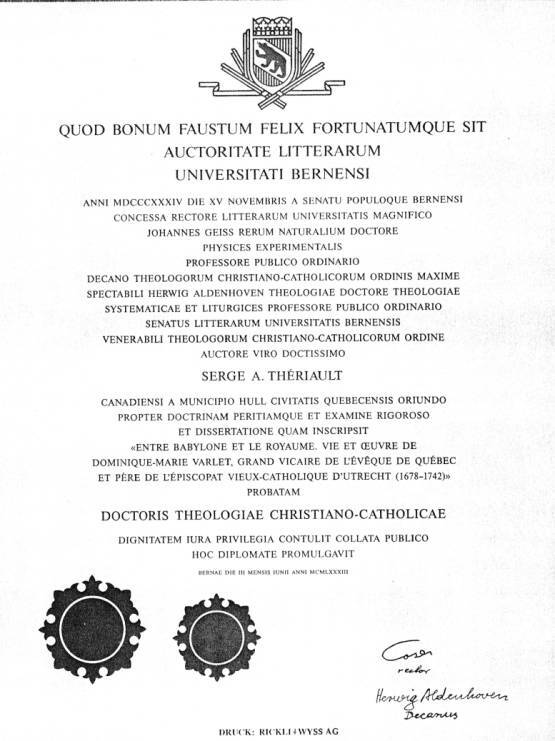 degree from the Christian Catholic Faculty at the University of Bern, Switzerland. 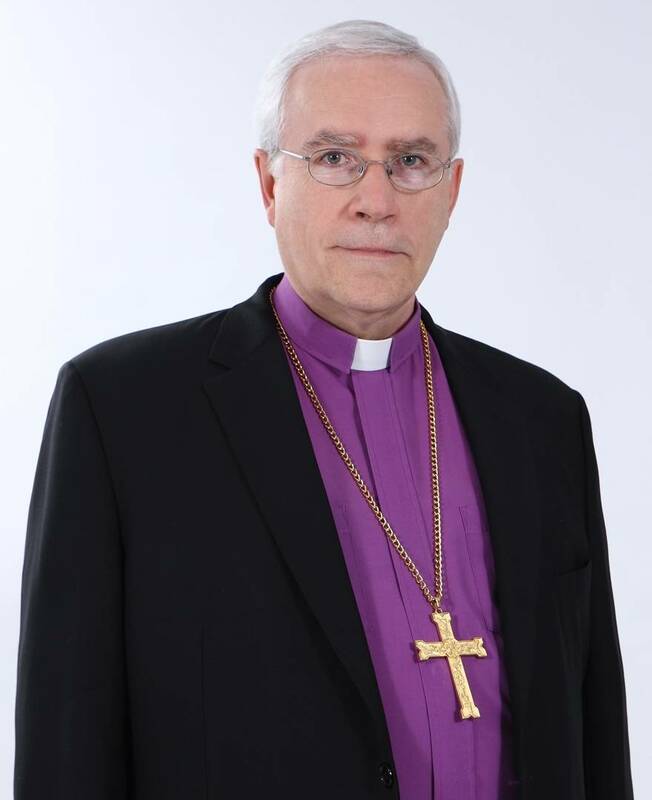 Bishop Thériault also holds degrees in Human Sciences from the University of Ottawa (Ph.D.), in Public Administration (M.P.A.) from École Nationale d'administration publique, in Medicine from London Missionary School of Medicine, U.K., in Education (B.Ed.) from Université de Montréal, and in Arbitration (Bar of Quebec). Dr. Theriault is a Fellow & Diplomate of the American Board of Medical Psychotherapists & Psychodiagnosticians. He is married to Diane Chouinard and is the father of John, Melanie and Justin, and the grand-father of Veronica.